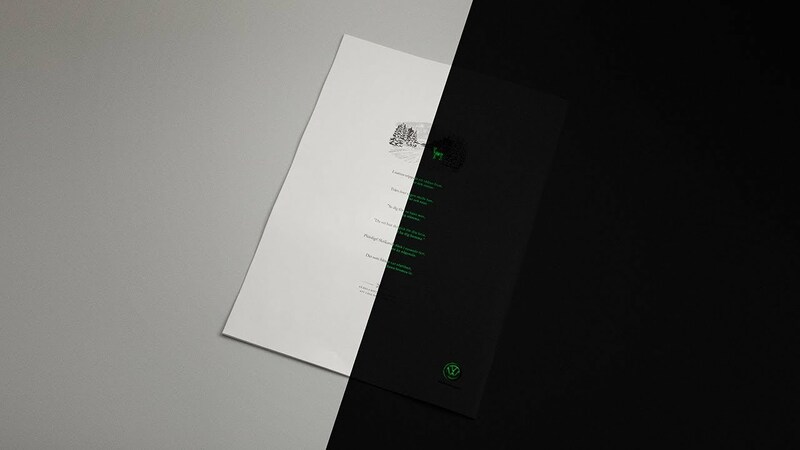 We've always enjoyed print advertising that does more than just sit there looking pretty. Here's the latest example. Nord DDB created a clever print ad for Volkswagen that tells one story in the daytime, but a whole different story at night. When you read the ad in the daylight, it tells the story of a deer who is tragically killed by an automobile. But if you turn off the lights, the ad suddenly reveals previously hidden words—in fluorescent ink—that turn the story on its head. The ad nicely embodies its own message, telling a pleasant story as soon as it's dark—to promote VW's Night Vision feature, which helps prevent accidents in the dark. It's not conceptually seamless (why the deer gets hit in the daylight, in the first story, is anybody's guess), but it's a fun use of the medium nonetheless. The Swedish campaign is reminiscent of a 2017 L.L.Bean newspaper ad in the U.S. that you could only read outdoors, thanks to photochromic ink, which is colorless indoors but turns different colors when exposed to ultraviolet light. That work cleverly illustrated the Bean tagline, "Be an Outsider." Jeanette Asteborg, marketing manager at Volkswagen Sweden, said of the automaker's new ad: "You can read the ad in daylight and get a story about being careful when driving. But if you read it in the dark, the story will get a happy ending, and you'll understand the effect of Night Vision. Almost like when you were a kid and wrote secret messages with a spy pen." There were more than 60,000 wildlife accidents on Sweden's dark roads in 2018. Night Vision is an infrared camera that see some 300 meters in front of the car and react to heat from animal and human bodies. The ad ran on the back cover of Dagens Industri Weekend, the Swedish equivalent of the Financial Times. It was published during the darkest time of the year.